ASUS today announced two GeForce GTX 780 DirectCU II graphics cards, the new highest-end offerings in its NVIDIA-based graphics card range. They feature an ASUS-designed PCB and a completely new look for the DirectCU II cooler, as well as DIGI+ VRM digital power delivery and robust Super Alloy Power components. GeForce GTX 780 DirectCU II cards use an NVIDIA GK110-300 GPU with 2304 CUDA cores. They ship with 3GB GDDR5 video memory on a 384-bit interface. For avid PC gamers who demand ultra-high detail and readiness for resolutions beyond full HD 1080p, GeForce GTX 780 DirectCU II cards deliver extreme cooling, stability, and endurance well above reference card requirements. 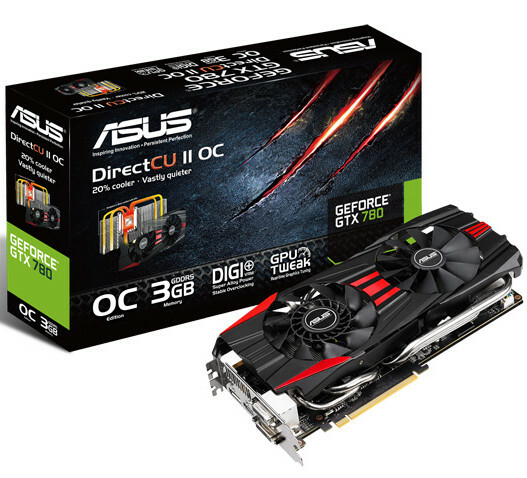 ASUS offers GeForce GTX 780 DirectCU II standard and overclocked (OC) versions. For GeForce GTX 780 DirectCU II cards, ASUS engineers developed a new thermal design that revolves around a direct-GPU contact 10mm copper heatpipe, compared to traditional 8mm heatpipes. This change on its own contributes to 40% greater heat transfer efficiency. The cooler also uses an intricate heatsink, which ensures a bigger heat dissipation surface area. 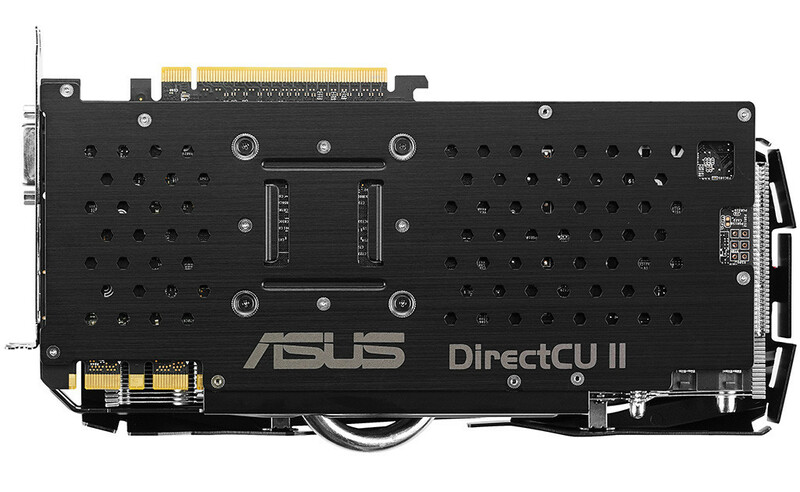 Extensive testing guarantees the redesigned DirectCU II cooler maintains ASUS standards, including 30% lower temperatures on average and up to three times quieter performance under heavy load compared to a reference GTX 780. Customers benefit from more stable gaming, low noise environments, a wider overclocking margin, and a longer lasting product. The proprietary CoolTech fan used on GeForce GTX 780 DirectCU II cards enables 360-degree airflow that is much more effective than traditional fans at the same RPM. It consists of a hybrid blade and bearing design, with an inner radial blower and outer flower-type blades. Combined, they provide multi-directional airflow to accelerate heat removal and enable consistently stable graphics card performance. 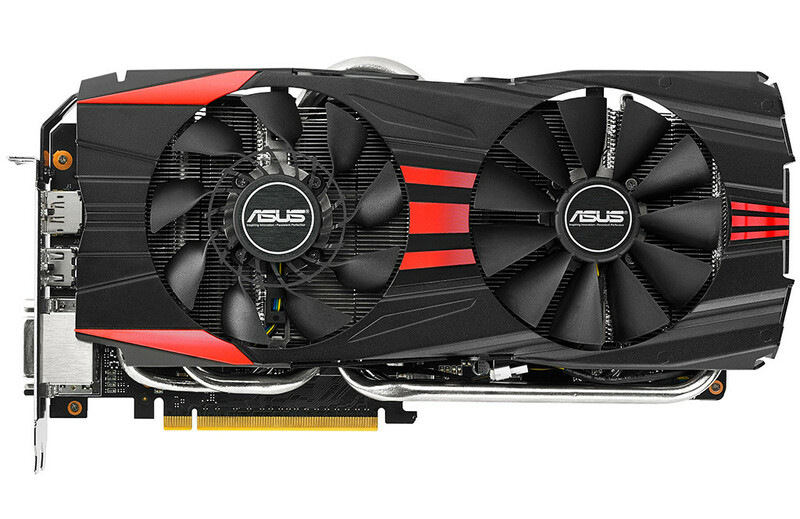 ASUS includes exclusive DIGI+ VRM digital voltage regulation on GeForce GTX 780 DirectCU II models. Precise delivery means 30% lower power noise than reference, with instant graphics card stability gains. It also translates into more accurate overclocking. Super Alloy Power solid state capacitors, chokes, and MOSFETs use custom alloy formulation and concrete cores to eliminate buzzing noise and better withstand heavy loads during intense gaming and overclocking. 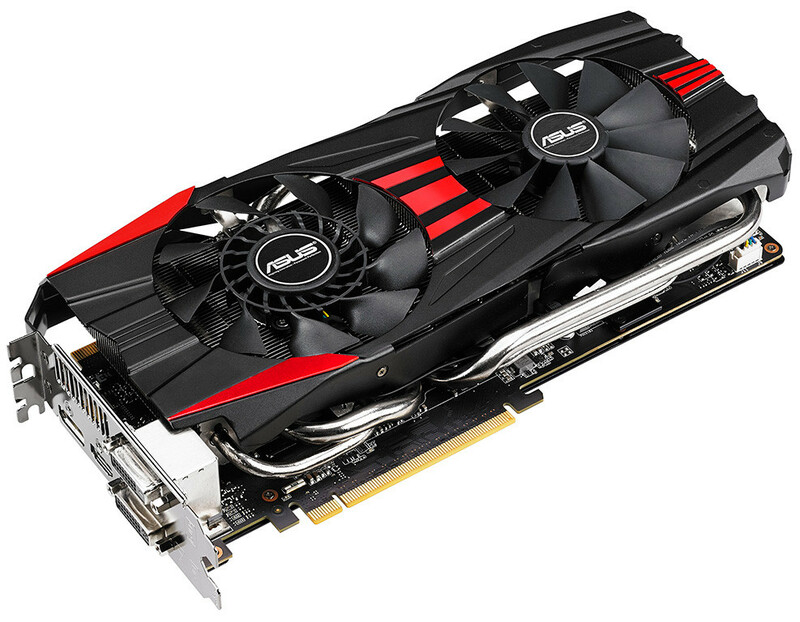 Compared to reference, the GeForce GTX 780 DirectCU II has a 2.5 times longer lifespan. Exclusive ASUS GPU Tweak is a user-friendly utility that makes it easy to adjust GPU and video memory speeds, voltages, and fan performance. Customers can also create dedicated profiles for different games, and set graphics card power consumption targets. Constantly updated, GPU Tweak works well with NVIDIA GPU Boost 2.0 technology. GPU Boost 2.0 automatically transitions between base GPU clock speeds and boost speeds whenever it detects an application (such as a game) requires more power. GPU Boost 2.0 adds temperature detection for smarter auto overclocking. anyone else going with same plans? I would just get the cheapest Reff card if i was gonna slap a WC block on it. wonder whats up with the press kit quoting "DirectCU II: 30% cooler and three times quieter" when the box art says "20% cooler, vastly quieter"
400$ and im a buyer. though i would most likely mount a custom cooling solution.